Every Emerald Bay home surrounds the heart of it all: the lake. 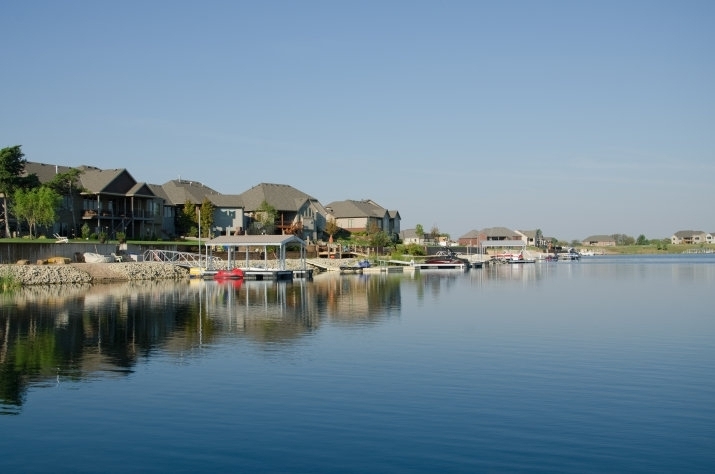 As one of the largest and deepest lakes in Wichita— some areas plunging as deep as thirty feet— residents quickly understand why lakeside living is the only way to go. 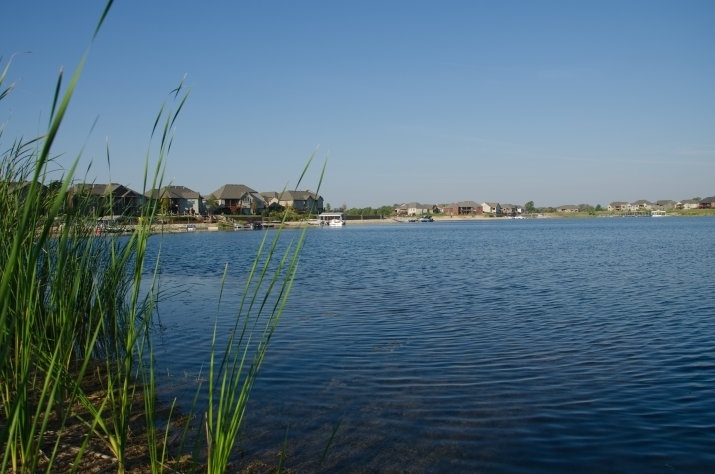 Please see lake rules regarding lake use, watercraft and fishing. The Pavilion was built for you, your friends and your family. This million-dollar amenity is a great place for group events and social gatherings. 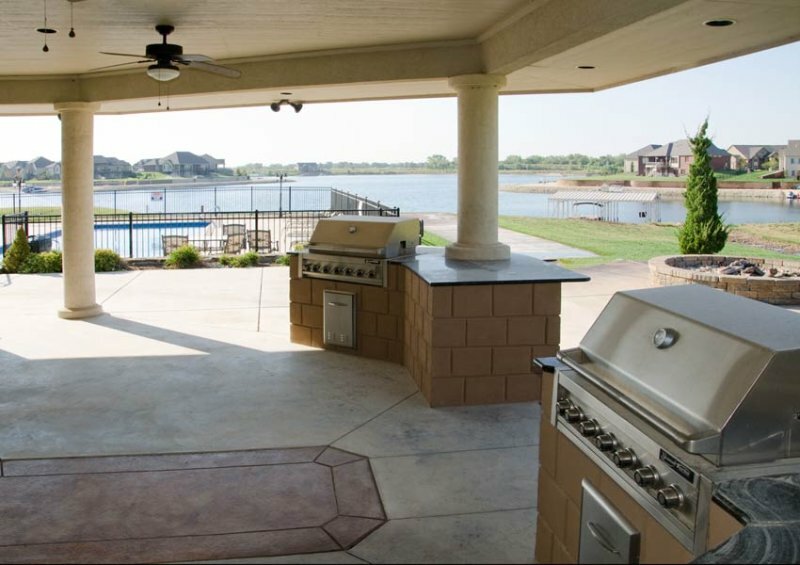 Featuring built-in grilling units and a nearby fire pit, the Pavilion is more than impressive. Located at 4505 Emerald Bay, on the northwest corner of the lake. 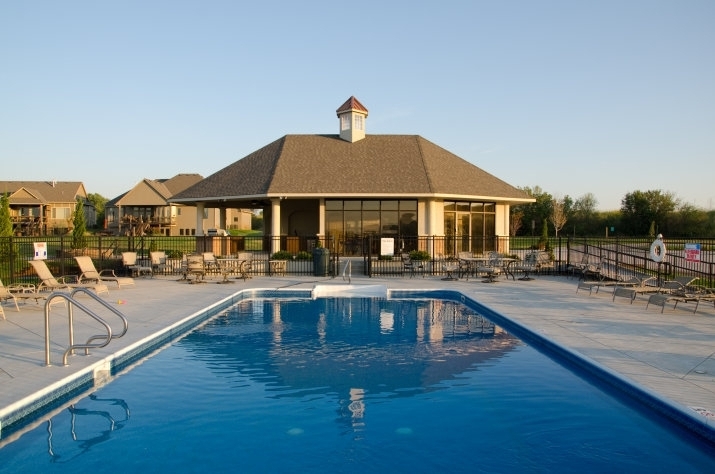 Relax in the community pool area as the sights and sounds from the adjacent lake fill your senses. 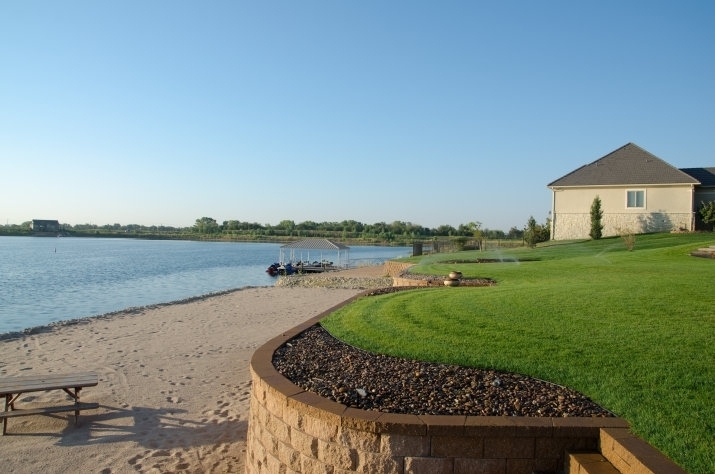 Motor boating, jet skiing, water skiing— it is what makes lakeside living a luxury. Walking out your back door has never felt so much like a vacation. 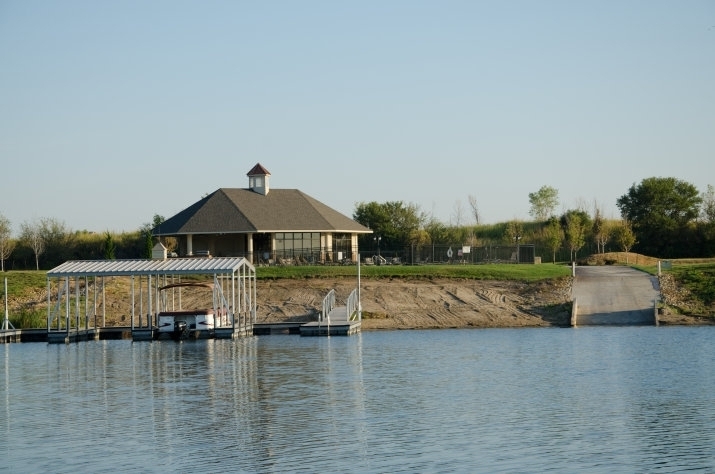 Everyone benefits from the community boat ramp and dock! Step out of your backyard and your feet will immediately hit the cool, grainy sand of the Emerald Bay beaches. Perfect for an afternoon picnic or an evening under the stars. 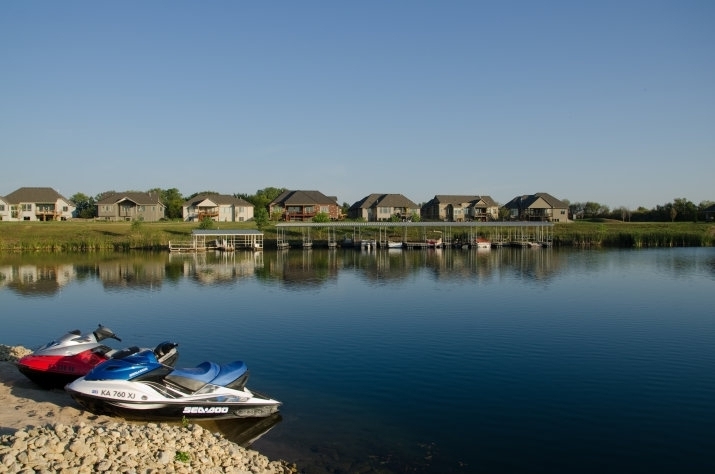 As the sole Wichita community allowing boating and jet-skiing, Emerald Bay developers and builders want you to enjoy the benefit of your own private dock. 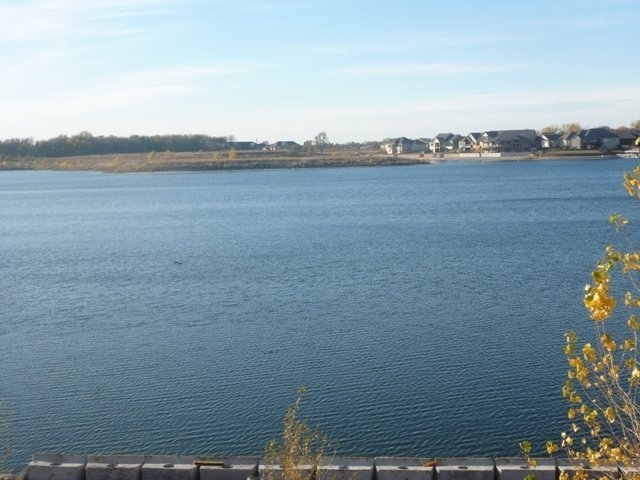 Contact our community manager today for private dock options! Click here for lake rules. Pack a lunch, grab your tackle box and fishing pole and make a day of it! Emerald Bay is a great place for residential fishing.